It’s Time to Add Some Flavor into Your Resume! 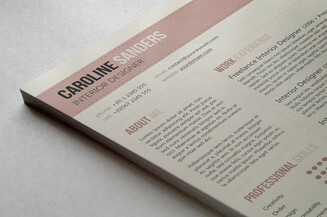 Have you been sending far too many resumes and still not getting any good results? You might have the most relevant qualifications and skills needed for the job but will that be even noticed in a sea of black and white resumes that tend to all look alike? You see, employers receive tons of applications on a daily basis so even if you're the most qualified candidate for the position, you won't have that chance to get noticed if the document that you submit is just the same as everybody else. If you fail to capture their attention in the screening process then your CV won't probably survive the first cut. You can drastically improve your response rate if you add some spice into your resume and this is what SpicyResumes can do for you. All of our templates have this secret ingredient that makes all the difference. Our artists have found the right mix colors, fonts and other creative elements to reinforce that positive impression and maximize your career potential. All of these components work together to effectively display your creativity while still maintaining a high level of professionalism. 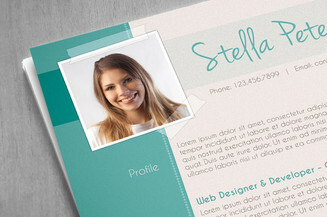 These resume templates are available for instant download right after you made the purchase. You can easily edit and modify the file with Adobe Photoshop CS4 or above. All the necessary information that you need to fully utilize the templates are included in the package so you can edit and print right away! As an added bonus, we've also included extras such as cover letters and business cards to complete your job-hunting toolkit. You can find these value-added features in some of our designs so you can be fully armed and ready for the competition. What we have is a menu of eye-catching concepts that are not only creative but are also capable of demonstrating a strong and functional use of typography. 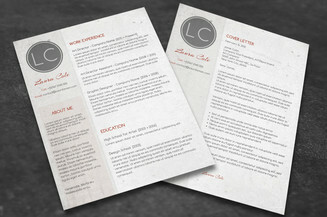 So ditch that dull and uninspiring CV and start reinventing your image by giving it a little spice. Effectively show employers your initiative and ability to stand out from the rest of the crowd, gain new employment opportunities with our creatively designed templates!